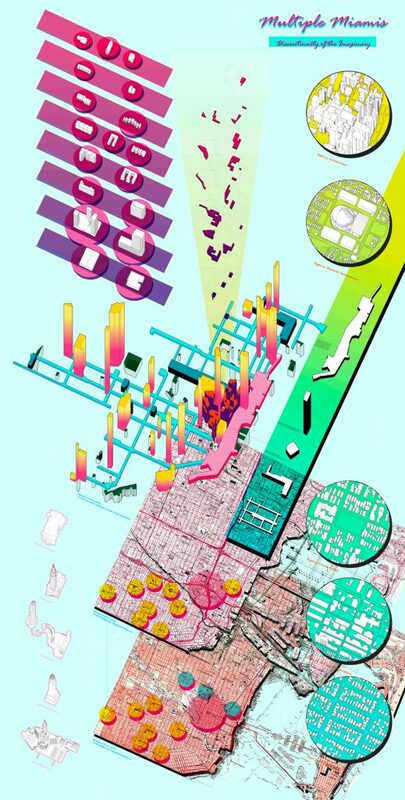 This series of images depict a mapping design investigation looking at urban development in the city of Miami, with the focus centered around the district of Overtown. Titled “Multiple Miamis: Discontinuity of the Imaginary”, we illustrate the paradoxical nature of Miami as a mythological city of pleasure in the urban imaginary, yet a working city of prejudice as it grappled with urban growth exacerbated by this existential narrative of paradise planning. 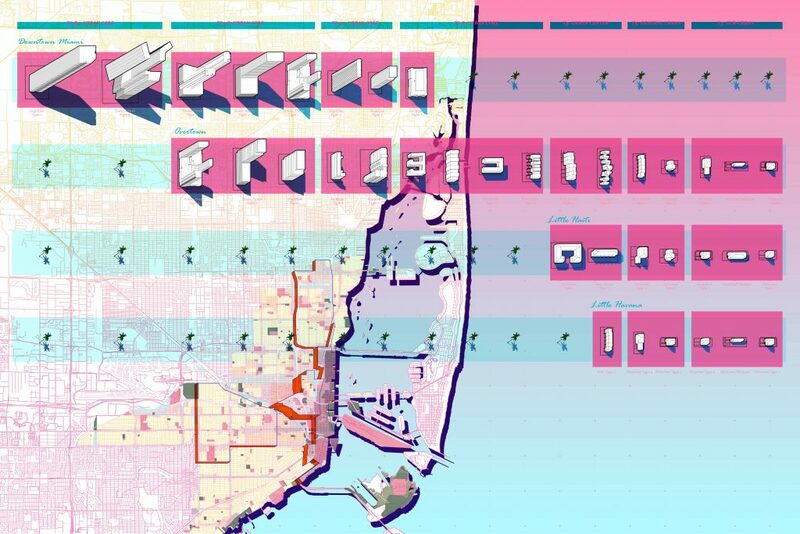 In this series of mappings, we reveal how the Form-Based Zoning code Miami 21, being implemented in the city today, has intensified a collision of disparate urban typologies in the district of Overtown, while densities in adjacent neighborhoods remain morphologically confluent. Miami 21 envisions Transect based zoning to ensure a smooth succession of morphological densities. Yet a collision of mismatched transects creates fractured edges in the district, in which urban form on either side of each transect creates a disjointed pedestrian street realm. 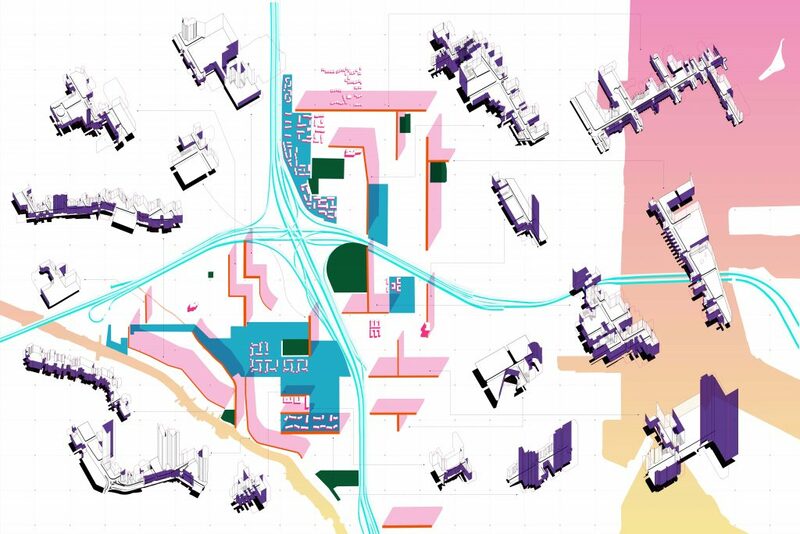 The initial fracturing of Overtown by the implementation of the freeway via urban renewal has been further intensified by the cities zoning code, which has created a collision of 5 distinct urban mattes that sub-fracture the district into a collection of disparate morphological parts. At the same time, projecting future land development in Overtown on vacant lots based on transect zoning reveals latent upzoning by the city that reinforces the fracturing of the district into 3 distinct quadrants. We did the drawings as part of an option studio that we are currently participating in, here at the Harvard Graduate School of Design. 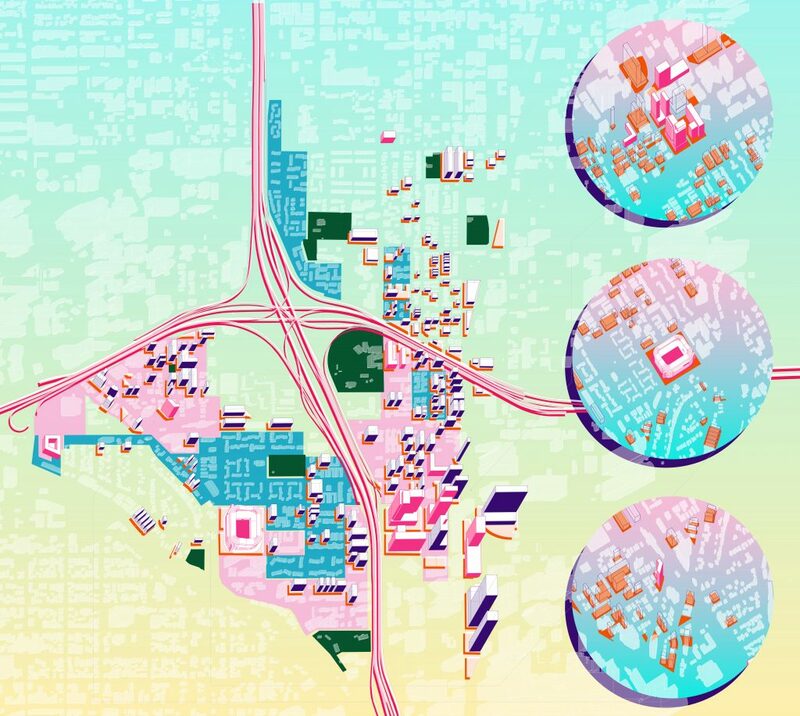 Titled “Multiple Miami’s”, the interdisciplinary studio is re-imagining a Miami that reckons with its multiple, conflicted pasts, recognizing its multiple histories, cultural traditions, environmental contexts, and populations that have both shaped the city of the past and might inform the contemporary American city of the future. What defined the city of Miami and the district of Overtown as site? Miami is utilized as the first urban laboratory within the context of the Future of the American City Initiative established by the Harvard GSD and funded through the Knight Foundation (www.gsd.harvard.edu/project/the-future-of-the-american-city/). The Overtown neighborhood is chosen as a site due to its epitomization of ‘multiplicity’, its numerous and layered histories as well as its projected futures. Home to a predominantly African-American population partly rooted in historic waves of migration, following decades of redlining and segregation, its vibrant commercial/entertainment district and residential neighborhoods were decimated by two interstate highway projects in the 1960s. As Miami transitioned into a major global hub for capital, innovation, and tourism in subsequent decades, Overtown experienced overwhelming public and private disinvestment. Today, the effects of real estate speculation and boom, together with climate change and sea level rise, compound pressures on the neighborhood poses both acute tensions yet potential transformative opportunities. How did you go about the collection of data and information? Was this achieved through first hand visits or through the internet and research platforms? Did you look to any literature? Data was both informed by a top-down synthesis and reinterpretation of GIS data, but also pertinently informed by our bottom-up studio visit to Miami earlier this fall. On our trip to Miami, we met with multiple stakeholders and local community members, which informed our anecdotal impressions of the city and the site. At the same time, mapping the city through geographic data was also important in allowing us to be critical in uncovering layers of research narratives beneath the raw data presented by software. Both these methods of collection and assimilation allowed us to juxtapose the ‘satellite’ reading of the city, against the uncovered anecdotal experiences on-ground. In terms of literature, Miami Modern Metropolis by Allan T. Shulman was particularly helpful in helping us extract the narrative of Miami as a paradoxical city in its history of paradise planning. What role did the drawing play in mapping and revealing the investigation? We utilized the perpendicular oblique projection as a consistent drawing methodology as a way to extract, interpolate, and tease out narratives within the data not immediately visible by just the flat layering of GIS data. The perpendicular oblique gives us both the ability to draw and understand data planometrically, but at the same represent vertical density in the same plane axonometrically. In our reading of the city of Miami as a superstructure, we wanted to use the drawing methodology to expose the structural exoskeleton that constitutes Miami’s urban development zoning, as an abstract figure, analyzed and represented at a scale akin to an urban kit-of-parts. What informed the different drawings used? What role does colour hold? Color was used with very specific intention in our project. We very much took Miami to heart, in that the colors, the gradients, the hues of Miami (cyan to magenta) are sited in the imaginary of the city through pop culture representation (Miami Vice to Scarface). We wanted to contrast & juxtapose this urban imaginary of Miami as a city of leisure & pleasure (as represented by color) with the working city of Miami that holds a deep history of segregation and discrimination (as represented by the content). In this way, the mapping of the colors are both extremely sited to the city, and at the same time a critique on the way these colors have been utilized in its historical urban imaginary: in pop culture, advertising, and media. Are you interested in developing the research further into a design proposition? If so what would be the objectives and scope of this? In fact, we will soon be moving into design propositions in the next phase of our studio. Utilizing this mapping research as groundwork, the studio will explore the role of urbanism, landscape, and architecture in promoting inclusive practices and development in imagining a future for the district of Overtown. The nature of the specific design interventions will depend on the nature of the site and organizational structures we investigate, these being affordability, housing, and public space, multi-functional infrastructure and productive landscapes, or access, mobility, and transit-based development among others. As we are both studying Urban Design at GSD, we firmly believe in the role of the urban as a tool for design. Understanding that contemporary issues of the city strongly inform architecture and that architecture is always situated within, and therefore symbiotic with, urban conditions is key to the way we approach design interventions. Parallel, the idea of utilizing multiple scales in both research as well as in design as a toolkit to unlock a multitude of design opportunities is something we firmly believe in as well. 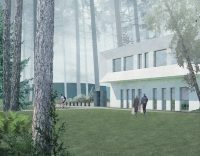 You can clearly see this instrumentalized in our drawings, which are seamlessly comfortable moving between multiple scales of representation and design analysis, from the typological building scale all the way to the metropolitan region.